Buying a home for the first time can be daunting and exciting. Unfortunately, it can also be a time when people make mistakes that can cost them greatly down the road if they decide they want to sell their home. Make the first time home buying process far easier by avoiding these all too common first time buyer mistakes. Many people want a single family home. However, the stock of single family houses may be quite limited in your ideal neighborhood. There might be far more larger family homes, condos, townhouses and apartments for sale instead. Do not let the focus on a single type of housing deter you from finding the right home. Think about buying other types of property as well. 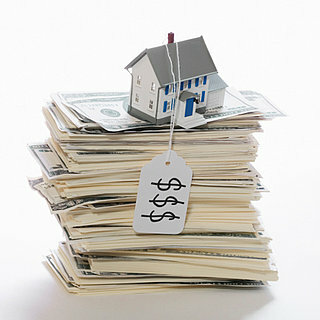 In a seller’s market, it is important to show the seller that you can get a mortgage to afford their house. A pre-approval from a bank is an indication to the buyer that you will not have trouble getting a mortgage to support the price you are offering for their house. Many first time home buyers are in their twenties. A bachelor might buy a home as an investment. A young married couple might purchase their first house just after getting married. Sometimes first time home buyers fail to think about how their circumstances might change in a few years. Even if you don’t have children right now, you might want to have them in the future. Buy a house with more than one bedroom if children are on the potential horizon. Houses need maintenance if they are to retain their value. The roof needs to examined periodically to make sure there isn’t a problem. Lawns need to be mowed. The furnace needs to be inspected. If you are buying a home with a homeowner’s association, these issues may be taken care for you as part of your monthly costs. If you are not, make sure you have enough money set aside so that if the boiler breaks you don’t have to drain your bank account to pay for it. Finding that right first home for you should be carefully thought about before you begin. Take a few simple precautions and that process will be far easier than you dared dream.